See health benefits of working out during pregnancy and safe exercises during pregnancy - from first trimester down to the third trimester of pregnancy, as well as top tips to succeed. You will also be able to get recommendations on the best equipments for safe exercising during pregnancy. Gone are the days when pregnant women were not allowed to move about or carry out any physical exercise. Today, research has proved the immense benefits that the mother and baby can obtain from a regular physical exercise regimen during the entire period of pregnancy. The right physical exercises with a healthy diet and lifestyle can really do work wonders in keeping you and your baby fit and fine. But before you go off to start that favorite exercise of yours, let's look at the befits of exercising in pregnancy, who should be extra cautious of exercise in pregnancy, the best and safest exercises and those workouts or exercises that needs to be avoided in pregnancy. Helps you shed "baby weight" in time and get back to your shape before getting pregnant faster. Clearly, the benefits of working out during pregnancy are enormous and not one to gamble away by doing nothing. So you want to start doing work outs in pregnancy? Do not let anything hold you back, as long as your healthcare provider or doctor okays it. Ignore the common myths and folklore of exercising in pregnancy. Working out during pregnancy, especially in the first trimester will cause miscarriage. This is not true. Exercising during middle or third trimester will cause premature labor - This is not true. Exercises during pregnancy increases the chances of having the umbilical cord twist round the baby's neck or cause cord prolapse. Again this is not true. Working out during pregnancy and just after will cause hernia - nothing could be further from the truth. If you are pregnant and in good health, do not let anything stop you from getting into your track suit now and start a regular exercise routine. You will be the better for it and be rewarded by having a healthier baby, with perhaps a better brain power, reflexes and blood sugar control. But, who is it not wise for, to be involved in unsupervised exercise during pregnancy? There is no pregnant woman who should not be able to exercise or do one form of work out or the other during pregnancy. I repeat: there is no expectant mother who should not be fit for some form of exercise. No matter how unwell they may be before they got pregnant. What is not possible for every pregnant woman is the degree of working out during pregnancy that is possible. If you suffer with any of the following conditions, then it is advisable that you see your doctor or exercise specialist to advise on what may be best for you. Asthma. Suffering with asthma and falling pregnant does not actually mean that you cannot exercise. It only means that you will need to take your "blue" inhaler (Ventolin or Salbutamol) more regularly especially just before exercises and during such, if you are feeling more breathless. Bleeding or Spotting of blood in early pregnancy. Rest is advised if you are bleeding, as this may signal what doctors call "threatened miscarriage". Weeks after the bleeding subsides, you can resume mild forms of exercise. Check with your doctor to get an okay. Blood Pressure Problems. if you suffer with high blood pressure before or during pregnancy, a mild to moderate amount of exercise will actually help with relaxation and bring down your blood pressure. What you must not do is any vigorous or unsupervised exercise. 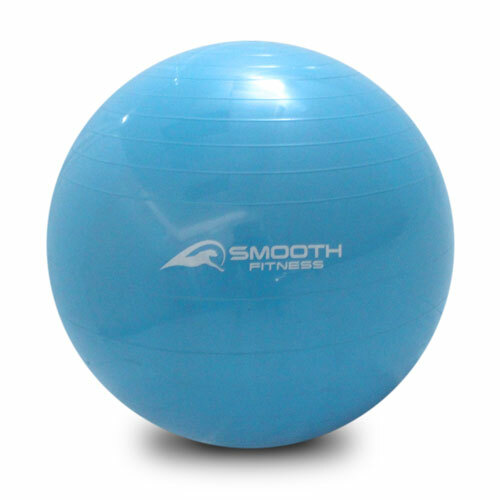 Mild exercise like walking, swimming or using exercise balls are perfect. Again, discuss this with your doctor and get an okay. Diabetes. One of the things all diabetic patients are told by their doctor or nurse practitioner is that they should be involved in some form of exercise. If you are diabetic and pregnant, you can by all means do some very mild exercises like those mentioned above for the hypertensive person, but best be more cautious and seek advise from your healthcare provider. If your diabetes is well controlled, then nothing should stop you from doing safe working out during pregnancy. Heart Conditions. If you suffer with a form of heart condition, especially structural heart conditions, like inherited large heart muscles, or born with heart abnormality or problems with your heart rhythm, conduction or function, there is no doubt that you need to be extra careful. Being pregnant on top if any of such heart condition puts additional strain on the already "stretched" heart. You will need expert opinion as to the type of mild exercises you could undertake. History Recurrent Second Term Miscarriage. If you have had more than one episode of miscarriage after the twelfth week of pregnancy, there is a chance that the neck of your womb called the cervix might be weak. Exercises that will increase your abdominal pressure are best avoided, but walking and swimming may be okay for you. Low Lying Placenta or Placenta Praevia. If you are diagnosed with a low lying placenta after the second trimester of pregnancy, you need to select your exercise carefully, and certainly only on the advise of your attending obstetrician. If you are in doubt about your state of health in pregnancy or whether it will be okay for you to be doing some working out during pregnancy, please see your doctor to discuss this. Now, what are the safest exercises to undertake in pregnancy? As long as you are not doing contact sports or some other vigorous risky exercises, most exercises are safe to be done during pregnancy. Walking. Walking is the best exercise you can do while pregnant and it is suitable for almost any person even those with serious medical conditions, as long as they are able to walk before pregnancy. It is the easiest and simplest but the most beneficial work out during pregnancy. A 15 to 30 minute brisk walk is the best exercise that you can adopt during this time. You do not need any fancy equipment and you can walk just about anywhere. It is a wholesome exercise for your entire body and really helps to calm your mind and nerves. Swimming. Go for a swim – This is a classic one like walking and is highly recommended by doctors during pregnancy. Swimming helps to strengthen the arm, leg and back muscles which can really help to relieve all those aches and pains. The other advantage is that no pressure is exerted on your stomach or the baby due to the waters buoyancy. But be careful when you are getting in and out of the pool and also walking around the edges as these areas tend to be wet and slippery. Dancing. Dance, dance, and dance – If you love to dance, then there cannot be a more enjoyable work out during this time. But stay away from rigorous moves; instead put on some soft music and sway along to it. Avoid those dance that may involve a vigorous waist twisting. Being in your partner’s arms is an added advantage. Jogging. This is suitable best in early and middle of the pregnancy, rather than later when your baby bump may be too big to run around with. Keep it safe by avoiding too vigorous a run. Pilates, Yoga and Meditation – Yoga is an extremely versatile form of exercise that does wonders during pregnancy. Apart from providing wholesome and holistic exercise, it also helps to de-stress, relax and calm your mind which is very important during pregnancy. As some postures or asanas are not recommended during this time, make sure that you learn from an expert with experience of supervising these exercises in pregnant ladies. Meditation and deep breathing exercises are also good, some of which can even come handy during childbirth. Which ever of these exercises you chose to do, remember not to overdo it. Regularity is as important as what you do for success. Remember to stretch after each and every exercise, as this helps your muscles to relax better and reduces the likelihood of your being sore after the exercise. Also eat well and drink plenty of clear unsweetened fluid or water. Avoid exercising in hot humid weather. Cycling and mountain bike riding, especially after the first trimester. Working Out During Pregnancy: We Would Love To Hear From You! Do you have a great story or experience on working out during pregnancy? Or perhaps, are you looking for a general advise on related issue? Share it! Post your thoughts here. We would be delighted to hear from you. Please write as much as possible and explain your idea or concern - the more you write the better. No restriction of number on words. Pregnancy Without Pounds: The Look Good Feel Great Pregnancy Kit. A weight control in pregnancy e-book, often referred to as the Ultimate Pregnancy Package.